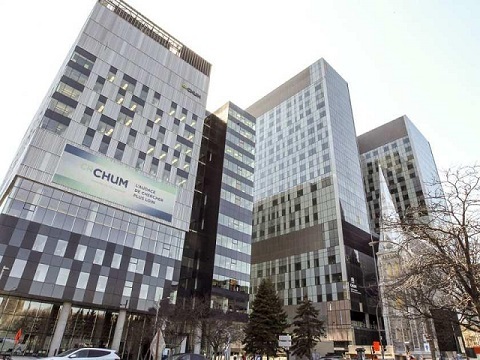 Centre Hospitalier de l'Université de Montréal (CHUM) chooses XECAN’s Smart MOSAIQ Patient Safety and Verification Solution and Workflow Management for it’s cancer center. Canadian superhospital CHUM in Montreal chooses XECAN’s Smart RFID Patient Verification and Safety Solution to be part of its clinical protocol for Radiation Oncology treatments at their brand new Cancer Center. CHUM's Radiation Oncology Department has 10 treatment rooms and 10 patient reception and waiting areas with very busy workflow. CHUM needs a technology to help maintain the highest patient safety in the treatment rooms, and at the same time, to have an improved patient reception experience and better workflow management. After years of evaluation of various technologies in the marketplace, CHUM has selected the Xecan smart MOSAIQ RFID technology. XECAN’s Smart RFID Patient Verification Solution will be integrated with Mosaiq, the centers EMR, and will be utilized throughout the entire 10 treatment rooms of Radiation Oncology Department, prior to it going live later this year. The center will also utilize Xecan’s patient friendly Reception Module at its ten waiting reception and waiting areas, which allows for patients to be automatically queued in to Mosaiq and for display of real-time patient waiting information on whiteboards. The center will also utilize Xecan’s Treatment Module, which will ensure the highest level of patient safety available on the market today. Xecan’s unique technology also allows for increased workflow efficiencies, shorter wait times and a more positive patient experience, which leads to improved patient satisfaction surveys. To ensure Xecan/Mosaiq compatibility, Xecan has entered into a Vendor Interoperability Program Agreement with Elekta. Under this agreement, Xecan has re-designed and re-developed its patient verification component based on the Elekta PatientVerify platform available in version 2.6 and higher. This allows Xecan to use the standardized Elekta foundation for patient safety verification, which is fully supported by Elekta standard releases. CHUM is among one of first centers to implement the interfaces. XECAN is pleased to join CHUM in the effort to provide the safest patient verification protocols possible.